Ritchie D’Cotsa of Bloomington has been plunging since 2011 when his friend, Lisa Hayward, recruited him. At that time, D’Costa’s son Blair was hospitalized in the ICU. Hayward printed a picture of Blair in his basketball uniform and they all plunged with that picture in their hands. The rest, they say, is history. D’Costa became involved in Special Olympics because of Blair. When Blair first joined Special Opportunities Available in Recreation (SOAR) in Bloomington, he was very shy. 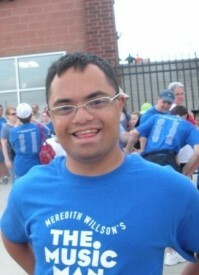 D’Costa saw Blair grow through Special Olympics, SOAR and the pride Blair took in his achievements. Blair truly exemplified what it means to be a Special Olympics athlete. The SOAR team always brings a large team to the Plunge. 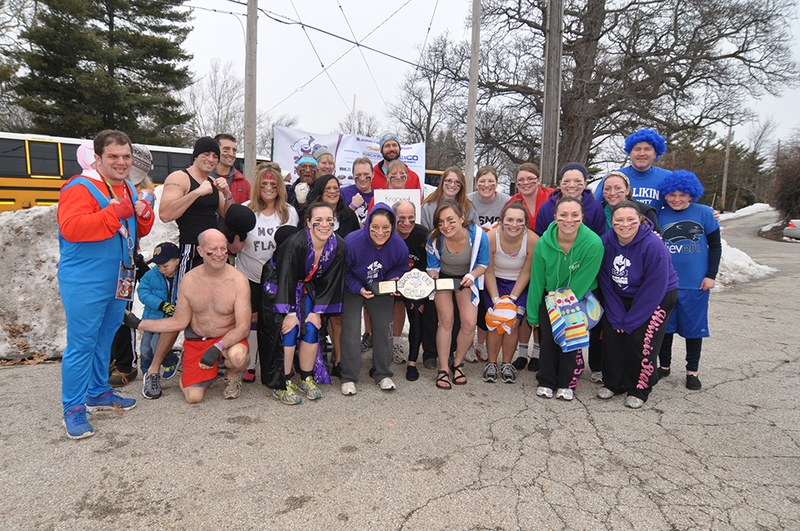 The team usually has 10 to 20 Plungers, with 2014 having the largest group of 25 people. Staff, athletes, volunteers, family members, Unified partners and coaches are on the team. People join the team by word of mouth or meeting each other at the many SOAR activities and Special Olympics events. Two years ago, the team traveled on the social media route and created a group called “SOAR Team – Polar Plunge.” The team uses the page to share ideas, pictures from previous years and current pictures. belt like one you would see in WWE. 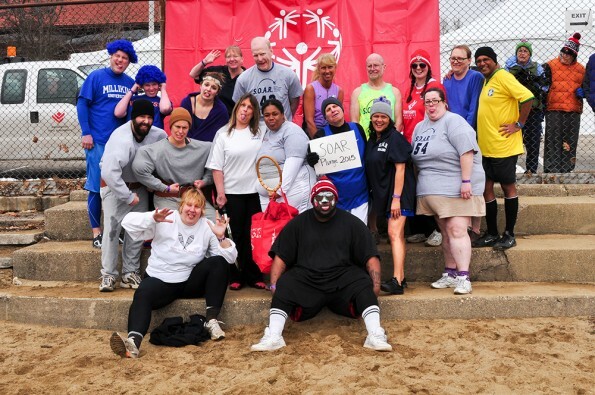 Last year, the team dressed up as the various Special Olympics sports. This year’s costume is emoji’s and is sure to create smiles at the Plunge. When it comes to fundraising, the SOAR team uses a variety of ways. The team asks family and friends through their social media pages on Facebook, LinkedIn and Twitter. Last year, the team hosted an additional fundraiser at the Bob Evans restaurants in town. They were ranked 3rd on the website last year with $4,210 raised. D’Costa continues to plunge because of a promise he made to himself and his son. This promise will continue even when he needs a walking stick, he says. His team continues to plunge because of the amazing connection with all the Special Olympics athletes. The SOAR team will be plunging again this year at noon Saturday, Feb. 27, at Miller Lake in Miller Lake Park, Bloomington. 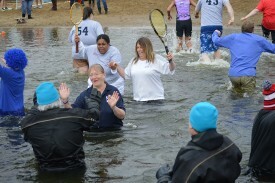 If you are interested in joining the team for the Bloomington Plunge or want to plunge at any of Illinois’s 21 locations, visit PlungeIllinois.com.